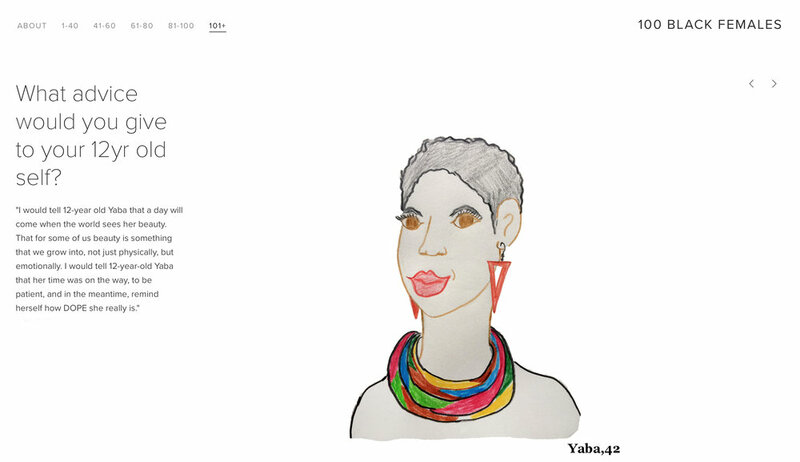 100 Black Females is a project about what it means to be a black female today. Women of color deal with different levels of racism on a daily existence. From the office, the gym, neighborhood, school and the entertainment business. Comments of how articulate someone speaks to how they choose to wear their hair, can make one feel judged and wonder why their own identity is being challenged or scrutinized. I created this project to grow a sense of community. Not only for myself to connect with other women of color, but for all to feel that they belong. It is to reach other Black females and let them know that their story, thoughts, and experiences matter. I believe it is important for people to read these stories so they can either directly relate or grow a larger sense of understanding.